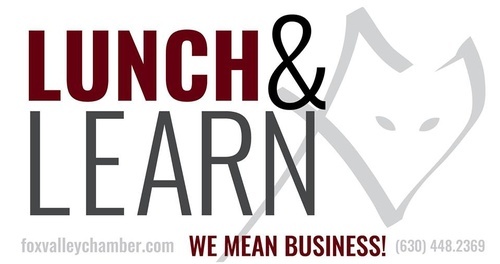 Lunch & Learn - "Knowing your numbers - Banking, Taxes and Management"
Name: Lunch & Learn - "Knowing your numbers - Banking, Taxes and Management"
Business Owner or Manager? Sometimes the 'day to day' is the easy part and the 'Numbers' are the hard part. Why do we care about 'Numbers'? We need to know how to Manage our business going forward. We also need to comply with Tax reporting. As well, our bank needs information in order to be a good partner. - All these 'opportunities' and more. "Learn from the Pros!" Come join us for Lunch (paid at event) and Learn about Financial Numbers for your business ($10 fee members, $15 for non-members). End of year planning - 2018/2019 - Get ready for your next level. 8/20/18 Turf Room, North Aurora, "What's your Story - Culture, Brand and Corporate Storytelling"
9/17/18 Pal Joeys, Batavia, "Human Resources for Small Business"
10/23/18 Preservation, Geneva, "SEO for Your Business"
11/19/18 Old Towe Pub, Geneva, "Knowing your Numbers/Goals: Banking, Taxes and Management"
8/30/18 Annual Pig Roast. Windy Acres. Batavia. Sponsored by Audio Video Specialists, Orange Home Services, Adventures in Scavenger Hunting, iMPACT Business Coaching, Right Guy Carpet Cleaning and more. Multi-Group Event. 9/26/18 The Wine Exchange, St. Charles.